Strategy – crucial in chess, checkers, and beer festivals. Do you scope out the rarest of your go-to breweries’ offerings? Start with the light stuff then cap it off with barrel-aged stouts? “I don’t have a strategy, I just sample ‘em randomly,” you might say. Guess what – still a strategy. Execute your game plan, but be sure to leave some room for at least one audible - the Naperville Ale Fest Cask Conditioned Tent. Our featured brewers have taken a base beer you’ve heard of, tossed it into a barrel with some special ingredients, and let it ferment into the fine, one-time-only brew you’ll sample on festival day. Tangled Roots didn’t build its reputation adding off-the-wall ingredients to their brews, nor do they frequent the industry’s wild wave of new styles. So when these guys give you a beer with a twist, you’d better believe they’re confident in it. Built on a base of dark, sweet malt, their mainstay English mild is bringing two industry-favorite adjuncts to the mix. Expect the coffee to become fast friends with the toffee and chocolate malt base, while the vanilla adds a subtle dessert-like element to one of the most revered English styles of beer. The (two) Ebel brothers launched their Pinball Pale Ale last February, and to say its been a hit would be an understatement. Its five hop varieties bounce you from bumper (tropical fruit flavor) to bumper (citrus fruit flavor) while maintaining the incredible balance you’d expected from a pale ale – and this time, they’ve shook it up with extra Mosaic hops and orange peel to give it even more of a fruity, citrus kick. Had the mastodon reproduced at the same clip of Hopvine’s Mastodon IPA, the elephant-like creature might still be roaming the Earth. These Aurora-based brewers have churned out multiple variations of their mainstay IPA, showcasing specific hops in each incarnation. This version features Centennial hops, famous for its floral and citrus notes. Fresh, bitter, and fruity – everything an IPA should be. 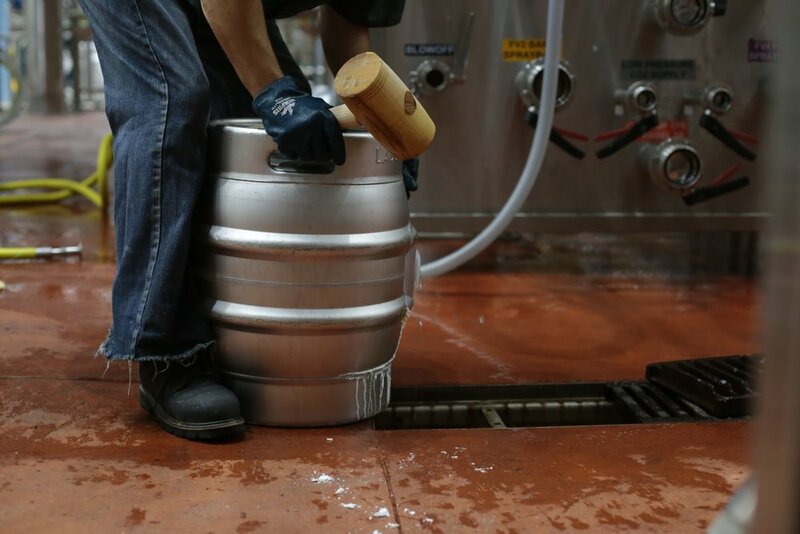 While adding special ingredients to a beer in a cask can produce some fantastic results (see the three previous beers), the governing body of craft beer doesn’t require it. Starkers is always served on cask, as is tradition in English barleywines. Filled with Fuggle hops, a definitely real hop variety discovered and first used in the 1800s, give Starkers a soft, floral orange aroma. This one comes in hot at almost high ABV, but take a sip and you’ll appreciate its warmth in the late-February Midwestern chill. Eric Clark grew up in the small-town newspaper industry and has set foot in more written-word industries than you'd care to hear about. He grew up in Iowa and currently lives in Wisconsin. He tolerates the prevalent Badger pride with the help of craft beer. You can find more of his work at ericclarkwrites.com. Go Hawks.